Last November, I hired somebody to go to thrift stores and buy books for me. To date, he as now brought me over 7000 books. Here are some of the financial results. 1. 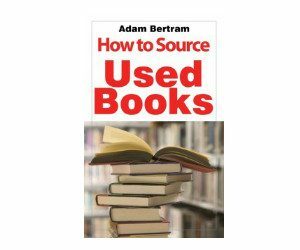 What is a book-sourcer? I’d love to chat by phone if you can find a minute or two for me. I’m considering deducting $20 out of each paycheck and have that go towards the cost of the scanner. That way he will own the equipment and be considered an independent contractor. Then give him the option of selling it back to me if he decides to move on. He pays for the books out of pocket, which is more of an independent contractor. How do you manage the potential liability and or factor the cost of cell plan and / or FBAScan… Is your scanner using local database or cellular service? Yes, I supplied him with a phone and scanner and pay the $30/month. The database is local. Very helpful video and guide. Can you explain if having landed price checked or unchecked makes a difference in your scenio? p.s. 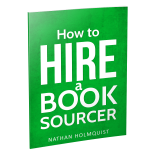 with your settings what percentage of sourcer books have unacceptably high amount of competing FBA offers? Not really sure. But since I’m only buying books with a MF price of $2.50 or more, there is less of a chance of having FBA competition. Yes, it would make a difference. I don’t have the landed prices checked in the e-guide. Thanks for the great information. I’ve adjusted my triggers to your suggestions, and I’m amazed at what a difference that’s made in my sourcing. I have a nagging question for you: what do you do when a book does NOT have a barcode? Do you skip the book? 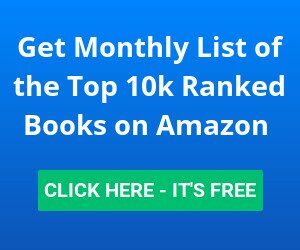 Do you type in the ISBN? Or, do you have another way of handling them? I manually type in the ISBN number into FBAscan. Yes, but I want to keep it simple. I don’t want to track the price of each book and have to reimburse him. Plus, since he’s paying out of pocket, he’s more of a independent contractor. Are you not just training your competition? Also, how do you prevent someone from keeping valuable books for themselves? Good questions. There is probably a little risk involved, but here’s why I’m not worried. 1. Most people are not entrepreneurial. Most people would prefer a paycheck. 2. He gets paid immediately. I have to wait 6 months to make a decent profit. 3. He does not see the prices on the scanner. He only sees “buy or reject”. So he doesn’t know how much the books are worth. 4. 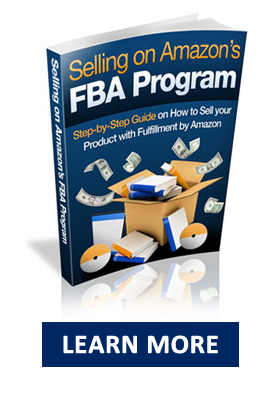 There is a learning curve with selling on Amazon FBA. Awesome video with great information. Very helpful for my own business model. I always track the metrics you show in your video but also calculate my earnings per hour. Do you have any idea what you are making using this system? I assume you would divide 2154 (profit) by the number of hours you spent processing 1047 books. I would be interested in hearing how this worked out for you compared to sourcing the books yourself. Good question. I haven’t timed my listing speed in a while. I also have someone helping me list books as well which speeds things up tremendously. Interesting facts proposal. 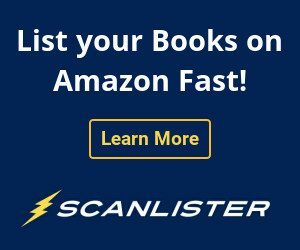 Got a question on your previous post of listing so quickly with scanlister. At what point do you figure out and put your price to sell at? Every one in your example was at $100 and that confused me. You do not need to shrinkwrap your books.